The Little Mermaid marked a return to fairy tale musicals for the Mouse House in the 80s. But unlike other Disney princesses, Ariel is cut from a different mold. No, it’s not because she’s a mermaid. It’s because her predicament isn’t exactly dire. Whereas other princesses are trying to get away from someplace awful or save someone, Ariel’s situation falls more on the selfish side. Sure, the story of someone longing to broaden her horizons is something that is totally relatable. But her method to expand her horizons is both childish and petty. 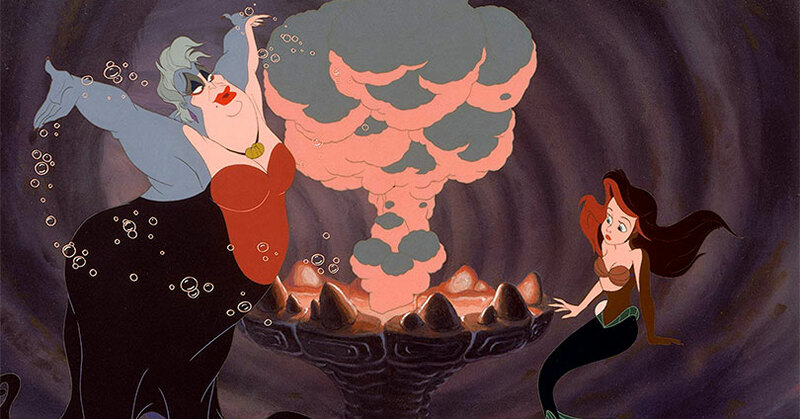 Nevertheless, The Little Mermaid is full of memorable characters. Not to mention, every single main character plays a meaningful part in Ariel’s journey. There’s not one character that’s underused—everyone has the right amount of screentime. Yet the most memorable thing about the film is the music. Howard Ashman and Alan Menken’s music brings out a lot of emotions. 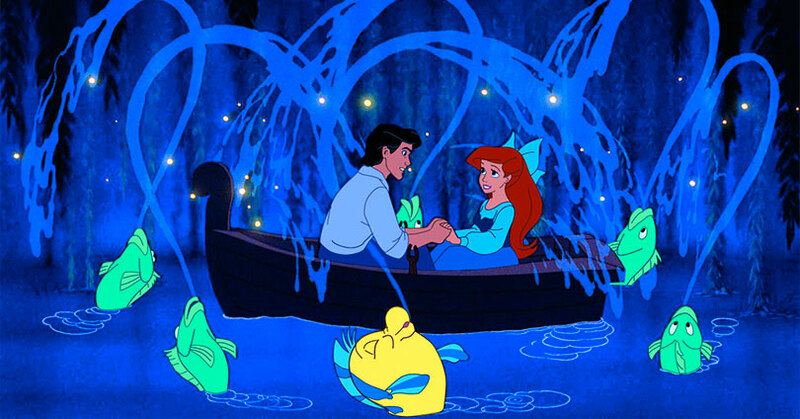 “Part of Your World” is a wonderful ballad that easily evokes joy to those that listen to it. As classic as “Part of Your World” is, it’s “Under the Sea” that’s the most memorable of them all. The reggae and calypso tone mixed with catchy lyrics is what made “Under the Sea” one of Disney’s most beloved songs. If anything, the song will make you get up and dance in your seats. The animation is also superb for a film in the 80s. Their decision to go back in time and use Disney’s old live-action reference approach has ultimately paid off. The emotion and body language of the characters all look natural. However, it is a little weird seeing the characters drawn and colored so flatly. There’s no shading whatsoever in these characters. Overall, The Little Mermaid is an exceptional return to the fairy tale musical genre for Disney. But like most returns, there is a lot of rust that the studio had to shake off. Yet the music of the film and Mermaid‘s beloved characters is what makes the film such a classic. The Little Mermaid hits Blu-ray with a 1080p MPEG-AVC with a 1.78:1 aspect ratio. Although there is an improvement in the picture quality, some elements aren’t as good. Much of that has to do with the source material. First of all, the contrast is a bit flat, and the brightness is a bit low too. Meaning that the bright areas are a soft white instead of a vibrant white. Fortunately, the black levels are a deep black. Since there aren’t many shadows in the film, you won’t find any shadow loss at all. The film does have a wide color palette and the color saturation is nice and even, but none of the colors pop from the screen. Despite all that, the picture clarity is the best part of the video transfer. The drawn lines around the characters are crisp and well-defined. At the same time, there isn’t a hint of flicker; something that you typically find in older animated films. Yet there is a good amount of noticeable film grain in this transfer. Overall, this is a proper video transfer for the Signature Collection. 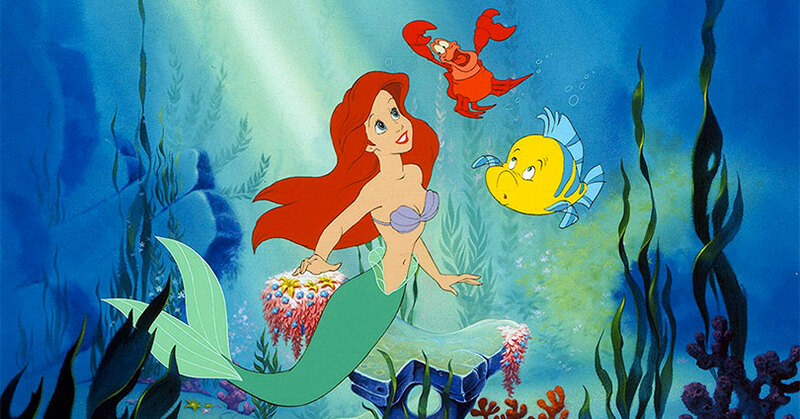 The Little Mermaid hits Blu-ray with a 7.1 DTS-HD Master Audio track. For an older film, this Blu-ray release has a modest audio mix. The dynamic panning of the sound effects throughout the soundstage is accurate. Also, the effects spread across the soundstage but it doesn’t happen that often. Sadly, the atmospherics is limited too. The mix doesn’t envelop you in a scene unless it calls for it. Not even the score envelopes the soundstage. The music is mostly relegated to the front channels. You can distinctly hear the music layered in front channels but not much in the rears. However, the dialogue is crystal clear in the center channel. When it comes to the subwoofer, it rumbles once in a while but this is a film where it happens very often. Overall, this is a pretty decent audio mix. “Alan Menken and the Leading Ladies” is a nice “roundtable” type discussion about Alan Menken’s work with 21 years of work with Jodi Benson (The Little Mermaid), Paige O’Hara (Beauty and the Beast), Judy Kuhn (Pocahontas), Lillias White (Hercules), and Donna Murphy (Tangled). Seeing Menken play these iconic songs and the stories with these ladies are terrific. They have such a good time together and sharing stories about their experiences. “What I Want From You Is… YOUR VOICE” gives you a behind-the-scenes look at the film’s original recording sessions. There’s nothing too informative about this piece but it may trigger some nostalgia by seeing all of the archival footage. “Stories from Walt’s Office: Gadgets & Gizmos” is always a good featurette to watch because it gives you an inside look at Walt’s life. “#TreasuresUntold” is the Disney Channel featurette which does cater to the younger crowd. However, the featurette does have a lot of delightful Easter eggs that most fans might not know about. “Harold the Merman” is a unique animation that uses nothing but storyboards. But unlike other deleted scenes made out of storyboards, this one is animated beautifully through parallax animation. “Under the Scene: The Art of the Live-Action Reference” is easily the most in-depth featurette on this disc. “Under the Scene” breaks down the process of live-action reference animation and the help it gave towards animating The Little Mermaid. “Howard’s Lecture” is a sweet and loving tribute to lyricist Howard Ashman. In this featurette, Ashman is giving a TED talk style speech about the importance of music in animation. 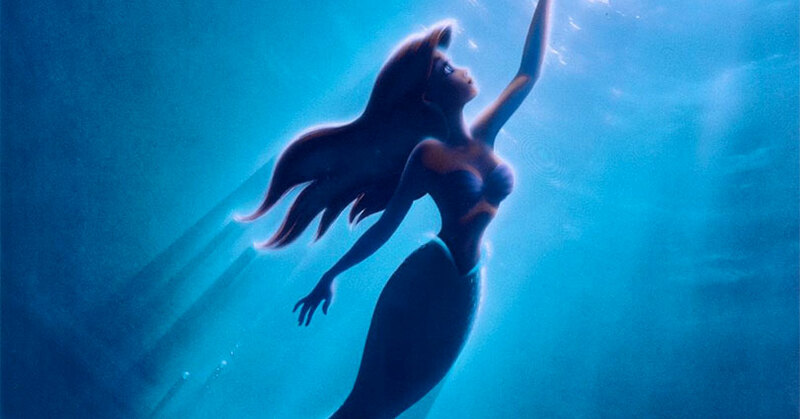 Overall, The Little Mermaid is a fantastic Disney film aided by classic songs and memorable characters. The video and audio are suitable for an older film. When it comes to the special features, they’re all in-depth and informative featurettes. The post The Little Mermaid: The Signature Collection – Blu-ray Review appeared first on Nerd Reactor.